Hector Arana Jr. broke the last of drag racing’s big barriers on Friday at the Gatornationals. 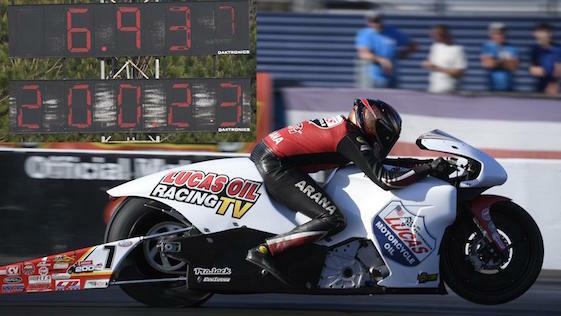 Arana Jr. became the first NHRA Pro Stock Motorcycle rider to break the 200-mph barrier during second-round qualifications for the 49th annual AMALIE Motor Oil NHRA Gatornationals. Arana Jr. covered the traditional quarter-mile in 6.937-seconds at 200.23 mph aboard his Lucas Oil Buell. That stunning pass rewrote the national speed record of 199.88 mph Arana Jr. set during the NHRA Four-Wide Nationals at zMAX Dragway in Concord, N.C., on April 2, 2015. Arana Jr. became the inaugural member of the DENSO Spark Plugs 200 MPH Club. The company announced the program that will honor the first four racers in the two-wheel class surpassing the magic 200 mph barrier before the start of qualifying on Friday. As the first rider to break 200 mph, Arana Jr. will receive $10,000 and be honored during the weekend’s FOX Sports 1 NHRA broadcasts as well as in National Dragster, NHRA.com and all NHRA social platforms. An additional $10,000 will be split among the three riders who eventually join the club. Bonuses also will be provided to the first four Pro Stock Motorcycle racers if they eclipse the 200-mph barrier using DENSO spark plugs. “The DENSO Spark Plugs 200 MPH Club members will forever be a part of NHRA’s rich performance history,” said Brad Gerber, NHRA vice president of sales and chief development officer. Kenny Bernstein launched NHRA’s 300 mph era and forever stamped himself as the “King of Speed” at Gainesville Raceway on March 20, 1992, when he drove the Budweiser King Top Fuel dragster to a quarter-mile pass at 301.70 mph during the Gatornats. Pro Stock Bike competitors have been chasing the 200 mph mark since 2011, when Eddie Krawiec became the first competitor to enter in the 199 mph range. While Arana Jr. was generating the day’s biggest headline, Krawiec took the provisional pole after two of four rounds. A four-time/reigning PSM world champion, Krawiec went to the top of the ladder with a 6.785-second pass at 199.67 mph aboard his Screamin’ Eagle Vance & Hines Harley-Davidson Street Rod. A field of 20 bikes has been entered for the first of PSM’s 16-race schedule in 2018, including the Countdown to the Championship playoffs. In other qualifying, Clay Millican (Top Fuel), Jack Beckman (Funny Car) and Greg Anderson (Pro Stock) paced their respective classes at the third of 24 events on the 2018 NHRA Mello Yello Drag Racing Series schedule. Millican’s 1,000-foot pass of 3.708-seconds at 324.98 mph in his Parts Plus/Great Clips dragster during the second round placed him at the head of Top Fuel. Millican is chasing his first No. 1 qualifier of the season and 11th of his career. Coming off his win at the NHRA Arizona Nationals last month, Steve Torrence piloted his Capco Contractors dragster to the No. 2 spot while reigning Top Fuel world champion Brittany Force currently sits 10th in the Monster Energy dragster. Beckman powered to the top of the Funny Car field during the first session, but his 1,000-foot pass of 3.911-seconds on his second lap secured the provisional pole. The 2012 world champion, Beckman is seeking his first pole of the season and 24th of his career. Arizona Nationals event-winner Courtney Force sits in the No. 2 spot with her pass of 3.914-seconds at 327.66 mph in the Advance Auto Parts Chevrolet Camaro SS fielded by John Force Racing. Meanwhile, the body-shredding explosions continued for drag racing icon John Force. The 16-time Funny Car world champion sits 14th after a half-track pass to open qualifying. Returning from an intense explosion at the season-opening Winternationals on Feb. 9 and a major crash at the Arizona Nationals on Feb. 25th, Force coasted to a 4.315-second pass at 194.27 mph. The eight-time/defending Gatornationals winner was unable to improve his position after an engine explosion blew the bodywork off his fan-designed PEAK Coolant and Motor Oil Chevrolet Camaro SS before reaching the finish line during Round 2. After exiting the car’s exposed chassis at the end of the strip, Force addressed a pair of issues _ did he make the show and getting to the bottom of what has become a recurring issue with his 11,000- horsepower flopper. “That was another body and that hurts the financial,” said Force, 68. “All the crew chiefs from Jimmy Prock to Brian Corradi to Daniel Hood right down to Jon Schaffer and Jason McCulloch, Alan Johnson _ everybody had input into this race car to try and figure out what happened in Pomona and then again in Phoenix. In Pro Stock, Anderson tops the ladder after covering the traditional quarter-mile in 6.552-seconds at 212.29 mph in his red Summit Racing Equipment Chevrolet Camaro SS during his second pass. Anderson is seeking his fifth career pole at Gainesville Raceway and 94th overall. “We’ve gone home early the last two Sundays and I need to make amends for that,” said Anderson, a four-time world champion. “Our goal is to qualify on the opposite side of the ladder from our teammates; we have four cars this year and they’re all very fast. Anderson has reached the finals in each of the past three years of the Gatornationals and seven times overall. Anderson has 90 wins_ second all-time in the Factory Hot Rod class to Warren “The Professor” Johnson _ and 59 runnerup results. Anderson’s next final round will be the 150th of his 20-year career. Alex Laughlin, driver of the Hot Wheels Car Care Camaro SS, is second at 6.525-seconds and 212.59 mph while fellow-Texan and Arizona Nationals winner Chris McGaha is third at 6.529-seconds in the Harlow Sammons Camaro. McGaha also posted the top speed of the day at 213.27 mph. Butner, Anderson’s Ken Black Racing teammate, currently is seeded fourth as he looks to extend his No. 1 point position in the Jim Butner’s Auto Sales Camaro. Qualifying will continue with Rounds 3 and 4 at noon and 3 p.m. (EDT), respectively, on Saturday. FOX Sports 1 will air one-hour of qualifying coverage Saturday beginning at 11 p.m.
Tony Schumacher (Top Fuel), John Force (Funny Car), Shane Gray (Pro Stock) and Krawiec are defending event champions. FS1 will air three hours of finals coverage beginning Sunday at 7 p.m. (EDT). Top Fuel _ 1. Clay Millican, 3.708-seconds, 324.98 mph; 2. Steve Torrence, 3.739, 323.19; 3. Antron Brown, 3.751, 327.74; 4. Tony Schumacher, 3.785, 329.67; 5. Leah Pritchett, 3.811, 325.77; 6. Terry Haddock, 4.038, 252.90; 7. Richie Crampton, 4.228, 198.64; 8. Doug Kalitta, 4.736, 162.22; 9. Terry McMillen, 4.918, 148.49; 10. Brittany Force, 5.021, 138.17; 11. Mike Salinas, 5.557, 117.91; 12. Pat Dakin, 5.570, 115.90; 13. Scott Palmer, 5.702, 124.21; 14. Audrey Worm, 5.773, 113.55; 15. Terry Totten, 7.106, 96.49; 16. Shawn Reed, 7.531, 78.85. Funny Car _ 1. Jack Beckman, Dodge Charger, 3.911, 332.18; 2. Courtney Force, Chevy Camaro, 3.914, 327.66; 3. Robert Hight, Camaro, 3.917, 333.66; 4. Shawn Langdon, Toyota Camry, 3.926, 327.03; 5. Tommy Johnson Jr., Charger, 3.933, 327.27; 6. Matt Hagan, Charger, 3.941, 328.22; 7. J.R. Todd, Camry, 3.962, 326.40; 8. Ron Capps, Charger, 3.972, 322.73; 9. Del Worsham, Camry, 3.979, 325.14; 10. Bob Tasca III, Ford Mustang, 3.989, 317.79; 11. Tim Wilkerson, Mustang, 4.004, 315.05; 12. Dave Richards, Mustang, 4.133, 300.93; 13. Cruz Pedregon, Camry, 4.241, 215.62; 14. John Force, Camaro, 4.315, 194.27; 15. Jim Campbell, Charger, 5.693, 125.75; 16. Gary Densham, Mustang, 6.051, 136.93. Not Qualified _ 17. Jonnie Lindberg, 9.393, 80.65. Pro Stock _ 1. Greg Anderson, Chevy Camaro, 6.522, 213.00; 2. Alex Laughlin, Camaro, 6.525, 212.59; 3. Chris McGaha, Camaro, 6.529, 213.27; 4. Jason Line, Camaro, 6.534, 213.03; 5. Bo Butner, Camaro, 6.534, 212.93; 6. Deric Kramer, Camaro, 6.541, 212.59; 7. Drew Skillman, Camaro, 6.544, 212.83; 8. Vincent Nobile, Camaro, 6.545, 212.69; 9. Erica Enders, Camaro, 6.554, 212.06; 10. Kenny Delco, Camaro, 6.570, 211.53; 11. Tanner Gray, Camaro, 6.598, 212.83; 12. Alan Prusiensky, Dodge Dart, 6.633, 210.05; 13. John Gaydosh Jr., Camaro, 6.645, 211.03; 14. Val Smeland, Camaro, 6.664, 209.36; 15. Jeg Coughlin Jr., Camaro, 6.892, 208.65; 16. Wally Stroupe, Camaro, 7.102, 196.22. Pro Stock Motorcycle _ 1. Eddie Krawiec, Harley-Davidson, 6.785, 199.67; 2. Joey Gladstone, Suzuki, 6.793, 196.93; 3. Andrew Hines, Harley-Davidson, 6.807, 199.05; 4. Scotty Pollacheck, Suzuki, 6.826, 196.93; 5. Jerry Savoie, Suzuki, 6.841, 195.03; 6. Steve Johnson, Suzuki, 6.855, 197.65; 7. Angelle Sampey, Victory, 6.856, 196.07; 8. Ryan Oehler, Buell, 6.881, 195.22; 9. Angie Smith, Buell, 6.889, 196.10; 10. Karen Stoffer, Suzuki, 6.889, 194.49; 11. Jim Underdahl, Suzuki, 6.902, 195.59; 12. Cory Reed, Victory, 6.921, 189.39; 13. Hector Arana Jr., Buell, 6.937, 200.23; 14. LE Tonglet, Suzuki, 6.940, 196.64; 15. Hector Arana, Buell, 6.970, 198.64; 16. Matt Smith, Suzuki, 7.008, 195.87. Not Qualified _ 17. Kelly Clontz, 7.109, 182.23; 18. Andie Rawlings, 7.228, 182.45; 19. Lance Bonham, 7.298, 694.44; 20. Mark Paquette, 7.498, 151.48. Mike Castellana powered into the qualifying lead Friday during the E3 Spark Plugs NHRA Pro Mod Drag Racing Series presented by J&A Service portion of the AMALIE Motor Oil NHRA Gatornationals at Gainesville Raceway. This weekend’s Pro Mod racing, presented Jerry Bickel Race Cars, is the 2018 season-opener on a schedule of 12 events. Castellana covered the quarter-mile in 5.753-seconds at 251.11 mph in the first of two qualifying sessions in his Al Anabi Racing ’69 Chevrolet Camaro to take the provisional pole. Steve Jackson sits second with a 5.754-second pass at 250.60 mph and Shane Molinari is third with numbers of 5.771 at 256.16. Pro Mod qualifying will continue Saturday at 1:30 p.m. (EDT). Pro Modified _ 1. Mike Castellana, Chevy Camaro, 5.753, 251.11; 2. Steve Jackson, Camaro, 5.754, 250.60; 3. Shane Molinari, Pontiac Firebird, 5.771, 256.16; 4. Rickie Smith, Camaro, 5.776, 250.64; 5. Steven Whiteley, Cadillac CTS-V, 5.787, 253.47; 6. Todd Tutterow, Camaro, 5.795, 249.07; 7. Chad Green, Chevy Corvette, 5.797, 247.29; 8. Khalid alBalooshi, Camaro, 5.800, 250.92; 9. Dan Stevenson, Camaro, 5.801, 255.34; 10. Jim Whiteley, Camaro, 5.801, 248.11; 11. Doug Winters, Chevy Chevelle, 5.829, 246.75; 12. Jose Gonzalez, Camaro, 5.830, 256.21; 13. Carl Stevens, Camaro, 5.832, 254.47; 14. Mike Janis, Camaro, 5.837, 246.48; 15. Jeffery Baker, Pontiac GXP, 5.859, 254.42; 16. Pete Farber, Dodge Daytona, 5.875, 244.96. 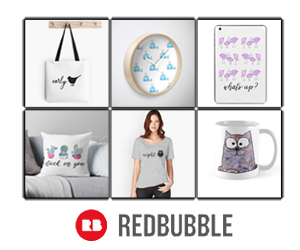 Not Qualified _ 17. Danny Rowe, 5.882, 247.61; 18. Michael Biehle, 5.905, 248.52; 19. Melanie Salemi, 5.905, 243.24; 20. Eric Latino, 5.918, 230.72; 21. Kenny Lang, 5.936, 243.63; 22. Rick Hord, 5.940, 248.80; 23. Richie Stevens, 6.051, 231.36; 24. Chip King, 6.106, 214.96; 25. Bill Glidden, 6.127, 230.84; 26. Rick Distefano, 6.149, 240.89; 27. Clint Satterfield, 6.564, 156.83; 28. Sidnei Frigo, 6.661, 156.64; 29. Harry Hruska, 6.704, 157.10; 30. Brandon Pesz, 7.515, 131.20; 31. Steve Matusek, 8.388, 124.95; 32. Jeremy Ray, 9.838, 95.62; 33. Bob Rahaim, 9.917, 103.99; 34. Chuck Little, 10.018, 86.62; 35. Ruben Tetsoshvili, 11.255, 66.07.